A woman who was killed by a car as she walked on the pavement was a "loving sister, aunt and friend", her family has said. 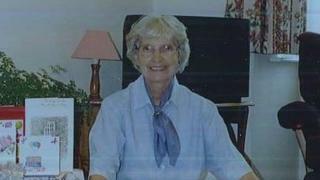 Joy Norman, 82, from Christchurch, Dorset, was struck by a Ford Focus in Somerford Road on 18 March. She was pronounced dead at the scene, police said. A 54-year-old Christchurch man was arrested on suspicion of driving offences and has been released pending further inquiries. In a statement, Ms Norman's family thanked those who "tried so hard to save her life". "Joy cared for children all her working life and for family, friends and neighbours during her retirement. "Our family get-togethers will never be the same without her sense of fun and slightly fey character." Police have renewed their appeal for dashcam footage.